Environmental Composites, Inc. rises to the challenge when it comes to custom fabrication. Our capabilities include welding, shearing, bending, and the fabrication of miscellaneous steel, aluminum, and stainless steel products. All of our fabrications are to designer specifications. 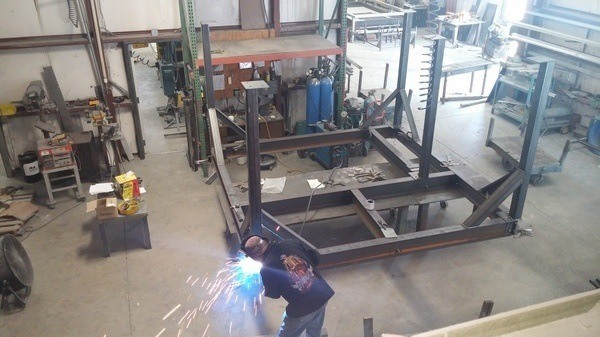 Our craftsmen have the ability to fabricate in steel, stainless steel, and aluminum for a multitude of applications. We offer quick turnaround times while maintaining a high standard of quality and unmatched service. While our main concentration is fabricating miscellaneous metal solutions within the commercial construction industry, we do explore fabricating for other custom products. Please contact us today at (352) 343-3449 or reach out to us on our online contact form for more information on custom metal fabrication process. See if our team of experienced fabricators can deliver the solution you deserve.